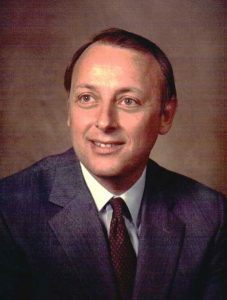 History | Pro Chem, Inc.
Warren Alifeld founded Pro Chem, Inc. in 1969 as a one-man company. After spending a decade in the specialty chemical industry, he believed that through hard work and treating everyone he dealt with respect, dignity and honesty, he could build a company to be proud of. Despite the fact that statistics were against him, the determined young man was even more encouraged to live by his values every day. Soon, he hired his first sales associate, and began creating what is today a thriving, growing and profitable organization. In the early years, Warren personally trained all new sales associates, doing his very best to help them understand and appreciate all that is required to succeed in this highly-competitive industry. He continues to believe that supplying sales associates with first-rate training and support gives them a real competitive advantage. He admits that mistakes were occasionally made, as they are in any business, but rather than cover them up, Warren made every effort to correct them promptly and effectively, always striving to improve. This commitment to transparency is still a core belief of Pro Chem. Pro Chem only offered a limited number of products. The company’s motto “Quality You Can Count On!” became much more than just a motto; it was the basis of a no-risk guarantee that told all prospective customers there was never a risk with Pro Chem. If they weren’t satisfied, their purchase price would be refunded – no if’s, and’s or but’s asked. This is still the company’s policy. From the very beginning, Pro Chem was never about a one-time sale. Rather, its goal was about building long-term relationships with a wide variety of customers that resulted in regular, repeat orders. From this focus has come today’s reality that of the thousands of sales Pro Chem makes monthly, more than nine out of ten come from satisfied, repeat customers. Pro Chem is committed to continue to grow our business as fast as sound management considerations allow. We are very proud of the fact that while adhering to these beliefs, we have continued to grow and hire, even during years of national recession. Maintaining a sound business plan has helped us survive as we approach our fifth decade in business. Warren’s philosophy of sound financial management continues, as Pro Chem is proud to still proclaim we have zero debt. Over the years, Pro Chem has undergone many changes as competitive considerations required. Never to be one who feared change, Warren has always preached, “Because change is inevitable, it must be embraced.” At the end of 2016, Pro Chem installed the most advanced computer and CRM (Customer Relationship Management) system available. Where once we only offered a handful of products, today we are prepared to ship any one of hundreds of safety products or specialty chemicals within 24 hours of receiving an order. 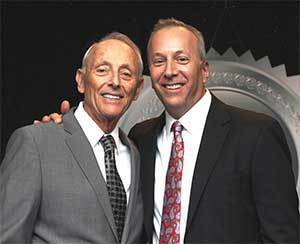 In the early 1990’s, Warren’s son, Randy, joined the company. He worked hard learning every aspect of the company and now he is at its helm as President. Being a family company, he is well schooled in the values that make Pro Chem special. That is why so many people have joined us for a job, only to stay for a life-long career. Randy appreciates all the qualities that make us unique, and while today we have representation in over a third of the country, we still maintain that small family feeling we had at the very beginning. Randy appreciates, as do all of Pro Chem’s management, that while our name is Pro Chem, at the end of the day we are really in the people business.